After being nominated a record-breaking 17 times, Meryl Streep won her third Academy Award on February 26. The actress took home the Best Actress Oscar for her portrayal of Margaret Thatcher in the film Iron Lady. In honor of Streep's stellar work onscreen, Broadway.com is looking back at the most unforgettable stage roles of her illustrious career. 27 Wagons Full of Cotton and A Memory of Two Mondays (1976): Fresh out of Yale Drama School, Meryl Streep arrived in New York in the fall of 1975 and landed six plays in less than a year, inspiring “a star is born” reviews for the double bill of 27 Wagons Full of Cotton by Tennessee Williams and A Memory of Two Mondays by Arthur Miller. She morphed from a Southern floozy with a padded chest and rear end in the Williams piece to a brittle Manhattan secretary in Miller's play, picking up her only Tony nomination. 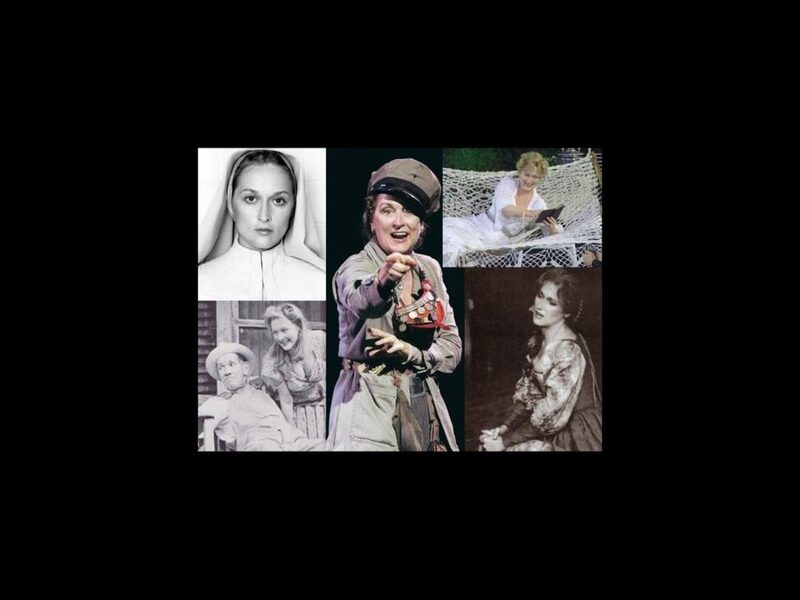 Measure for Measure and Henry V (1976): Central Park’s Delacorte Theatre became Streep’s most enduring theatrical home thanks to her mentor, Public Theater founder Joseph Papp. In the summer of 1976, she doubled up as Princess Katharine in Henry V and conflicted novice nun Isabella in Measure for Measure, the latter co-starring her real-life boyfriend, the late John Cazale, as Angelo. The Taming of the Shrew (1978): Streep first appeared onstage with the late Raul Julia in an acclaimed 1977 revival of The Cherry Orchard, stealing the show as the maid Dunyasha. The following summer, she and Julia shared an electrifying chemistry as Kate and Petruchio in The Taming of the Shrew. (Click here for a video clip of the two stars at the Delacorte Theatre, discussing their characters’ stormy romance.) After an Obie-winning 1981 musical performance in Alice in Concert, Streep left the stage for two decades to concentrate on movies and raising her four children. The Seagull (2001): Only Mike Nichols could convince Streep, Kevin Kline, Philip Seymour Hoffman, Christopher Walken, Marcia Gay Harden and Natalie Portman to do Chekhov together in Central Park, and the result was what you might expect—a fascinating stew of acting styles that didn’t really gel. Still, Nichols deserves a boatload of credit for luring Streep back to the stage for the first time in 20 years as the charismatic, self-involved actress Arkadina. Mother Courage (2006): Streep sings Brecht, adapted by Tony Kushner and directed by George C. Wolfe: No wonder Mother Courage and Her Children attracted SRO crowds to the Delacorte Theatre. As a wartime peddler, the actress had to “lift a 12 ton play onto her shoulders and hold it there for three hours,” as Times critic Ben Brantley put it. Streep's vanity-free performance reminded audiences why she is such a singular talent—and inspired dreams of seeing her co-star on stage with her daughters, Mamie and Grace Gummer.